China’s Giant Panda Breeding Center: A Cute Panda Kindergarten, Where We All Wouldn’t Mind Working At All! This Lovely Panda Nursery Is Located In Chengdu. Here The Little Pandas Receive The Very Best Care Possible. Founded In 1987, The Center's Main Purpose Is To Breed Little Baby Pandas And ensure Their Survival. Keepers Pay Very Close Attention To the Baby Pandas. They Also Try To spend Plenty Of Time With Them. 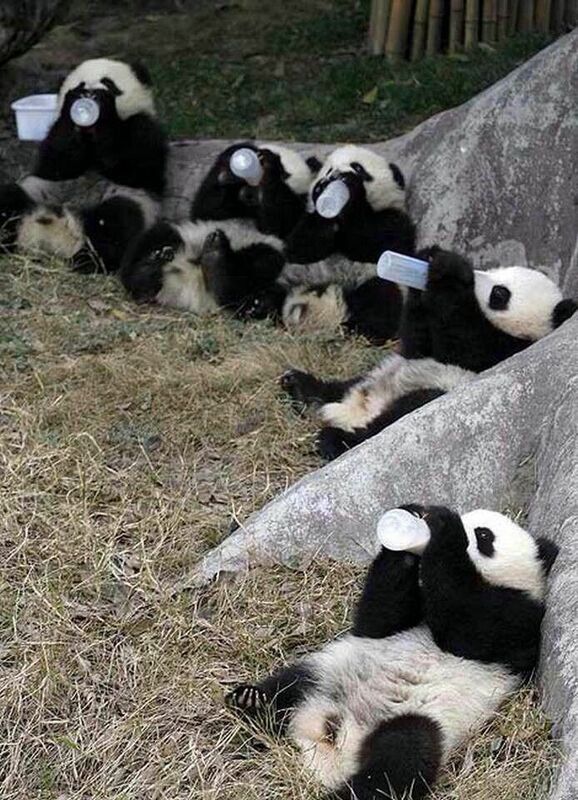 The Pandas Love To Have Fun! I Love To Play With The Ball. ...The Tiny Newborn Pandas And How They Snooze Away. Pandas Are Friendly And Happy To welcome New Guests. Come And Visit Them!